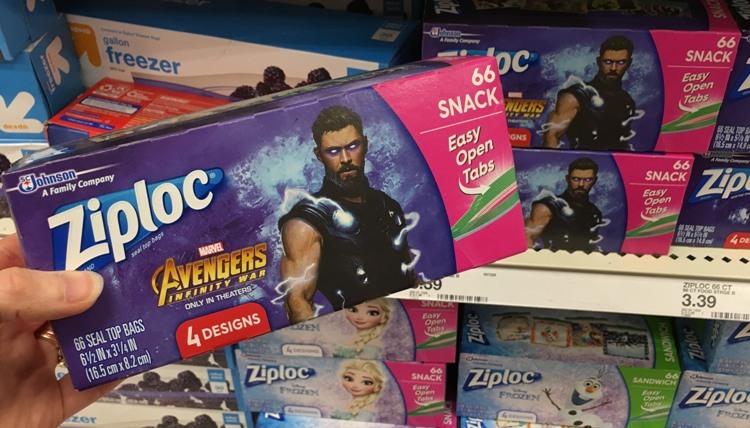 You can get code good for $9 off a Fandago ticket when you buy 2 select Marvel’s Avengers Infinity War or Disney Frozen Ziploc bags or containers and submit your receipt through 6/30. Code must be redeemed by 7/31. There is a $1/2 printable coupon and Cartwheel offer that makes this deal even sweeter!